Jack G. Snyder, 81 years, of Bryan, passed away Monday, March 25, 2019 at Community Health Professionals Hospice Inpatient Center, Defiance, with his family surrounding him. Jack was born on November 18, 1937 in Grundy, Virginia, the son of the late George and Alice (Duty) Snyder. He was a 1956 graduate of Grundy High School. Jack married Geraldine “Gerrie” Stiltner on July 3, 1959 in Lebanon, Virginia, and she survives. Jack and Gerrie moved to Bryan in 1964, when Jack began working for Winzeler Excavating. Jack made a career change and began working for General Motors Central Foundry in Defiance as a Millwright, retiring on October 1, 1985. Jack was a member of First Baptist Church, Bryan, where he served in several capacities, including President of the Fisherman’s Prayer Breakfast, Usher and Greeter, Trustee and the man who “passed out candy”. He was also a member of the UAW Retirees and the Corvair Club. Jack enjoyed hunting, fishing, camping and traveling. Jack and Gerrie spent the past 20 winters in Myrtle Beach, South Carolina. Surviving is his wife, Gerrie of Bryan; two children, Jack (Nancy) Snyder Jr., of Bryan, and Kathy (Doug) Smith of Bryan; two grandchildren, Jeremy (Lindsay) Snyder of South Bend, Indiana, and Amy (James) Brown of West Unity; five great-grandchildren, Kathrin and Will Snyder, Kailyn, Ali and Leighton Brown; siblings, Judy Schubert of Mechanicsville, Virginia, John (Cathy) Stiltner of Rosedale, Virginia, Diann (Donnie) Blankenship of Grundy, Virginia, Margaret (Larry) Brown of Ocean Isle Beach, North Carolina, Chris (Sharon) Stiltner of Lebanon, Virginia, and Mary Kay (Bill) Pierce of Tazewell, Virginia. He was preceded in death by his parents and five siblings, Buster Stiltner, Arlene Wheeler, Jerry Stiltner, Larry Stiltner and Becky Baldwin. Visitation for Jack G. Snyder will be held on Thursday, March 28, 2019 from 2:00 – 5:00 and 6:00 – 8:00 p.m. at First Baptist Church, 925 East Fountain Grove Drive, Bryan. 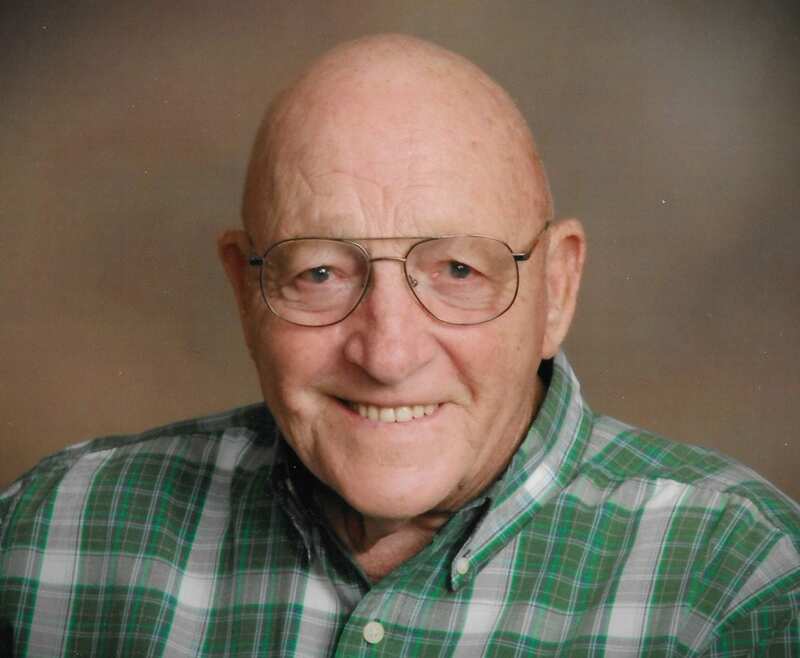 Graveside funeral services for Jack G. Snyder will be held at 11:00 a.m. Friday, March 29, 2019 in Shiffler Cemetery, Bryan with Pastor John MacFarlane officiating. Arrangements are under the care of Oberlin-Turnbull Funeral Home – Greenisen Chapel, 225 East High Street, Bryan, Ohio, 43506. Those planning an expression of sympathy are asked to consider memorial contributions be made to First Baptist Church, 925 East Fountain Grove Drive, Bryan, Ohio, 43506, or to Community Health Professionals Inpatient Hospice Center, 6625 State Route 66 North, Defiance, Ohio, 43512. 1 Comment on "Jack Snyder (1937-2019)"
My favorite patient ever,…. love you all. I’m so sorry for your loss. What a sweet and special man.